Oregon Speaker of the House Tina Kotek on Thursday, November 7, 2013 at Gamberetti's Italian Restaurant, and congratulations to the spring and summer 2013 admittees to the Oregon State Bar!!! The Mary Leonard Law Society board thanks House Speaker Tina Kotek for speaking to MLLS members and new members of the Oregon Bar. Speaker Kotek advised new admittees to choose their battles wisely and stand up for their convictions. She encouraged more female members of the bar to consider running for office, noting that we are still far from achieving gender parity in the Oregon legislature. Pictured with Speaker Kotek are, from left, Mary Leonard Law Society board members: Tiffany Hamilton, Norma Grier, (Speaker Kotek), Kate Denning, Ella Rauch, Allison Boomer, Allison Banwarth, Erin Dawson, Claudette Rushing, and Maureen McGee. 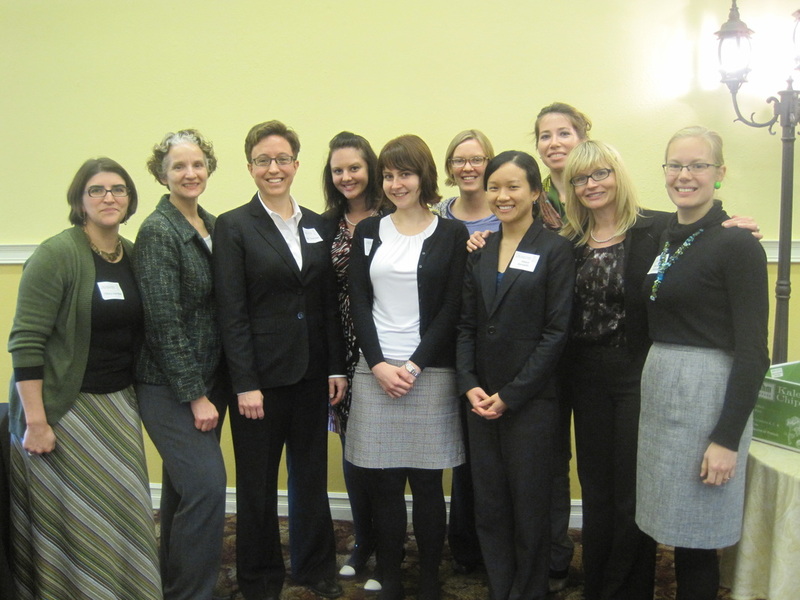 The 2013 Mary Leonard Law Society Annual New Admittee Luncheon featured a presentation by Oregon Speaker of the House Tina Kotek. Representative Kotek is currently serving her fourth term in the Oregon House.